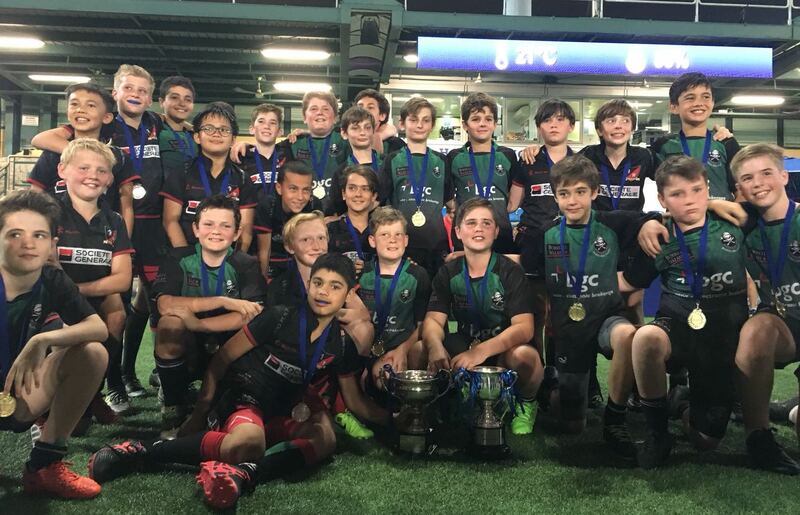 The Richard Hawkes Trophy has been contested by the U12 age group since the 2000-01 season, initiated by the then HKMRFU chairman, Kevin Browne, to recognise the contribution of Richard Hawkes, Hong Kong Chief District Court judge, former New Zealand Davis Cup tennis player and popular mini rugby coach for the Hong Kong Football Club. Richard sadly passed away in the months after the first season had ended, but he had been able to offer encouragement and input into the tournament structure, and his wife, Julie, presented the first trophy. There are two stages to the season, starting with a league structure for the first five festivals. Teams play in four pools (Cup, Plate, Bowl and Shield), with winners at each festival and promotions/relegations between pools. Then, at the sixth and final festival at the Hong Kong Football Club, the rankings from the fifth tournament determine the starting placings in two larger pools, leading to a knockout stage in which teams play semi-finals and finals for the Cup, Plate, Bowl and Shield. The Kim Lam Cup was set up in 2011 to honour the contribution of outgoing HKMRFU chair, Kim Lam, currently a Board Director with the HKRU. 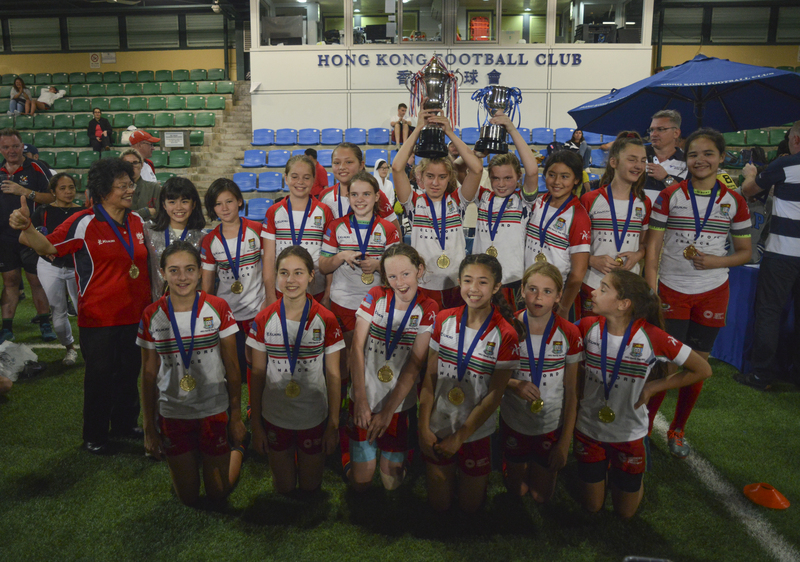 The contest largely follows the structure of the Richard Hawkes tournaments, with U11/12 Girls competing in Cup and Plate pools at the first five festivals, and then contesting pool and knockout stages at the Hong Kong Football Club festival to determine the season’s winners.